Pain hurts. How’s that for wisdom? But it’s true. Pain really, really hurts, and nobody likes to hurt. In fact, we’ll do just about anything to eliminate pain in our life. Many of us also have a sense that God wants to teach us lessons as we go through life’s pain and hardships. Frankly though, we’re often not sure what He is trying to teach us so we fail to respond appropriately. 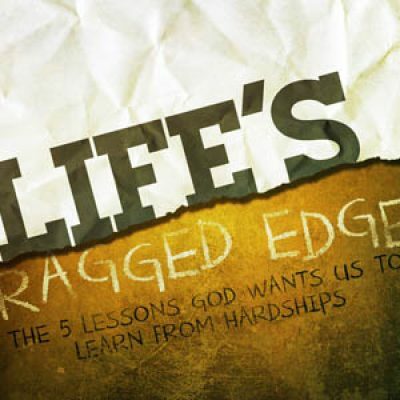 Join us in the month of September as we go through a new teaching series call “Life’s Ragged Edge”. Each week we’ll identify one of the five big lessons God wants us to learn through hardships as we discuss practical ways we can learn from our loss and gain from our pain. See you at church this Sunday, 10:30 am!